Announcing the Winners of Ecouterre’s 2009 Readers’ Choice Awards! Our readers have spoken! Make way for Casey Larkin of Mr. Larkin, your favorite emerging green designer of 2009, who trumped everyone else with a staggering 252 votes. (An honorable mention goes to Kizzy Jai Knight of Jai Active Wear with 209 votes.) Click below the jump for a complete list of winners, including the stories you voted as the coolest, creepiest, and most buzz-worthy of the past year. 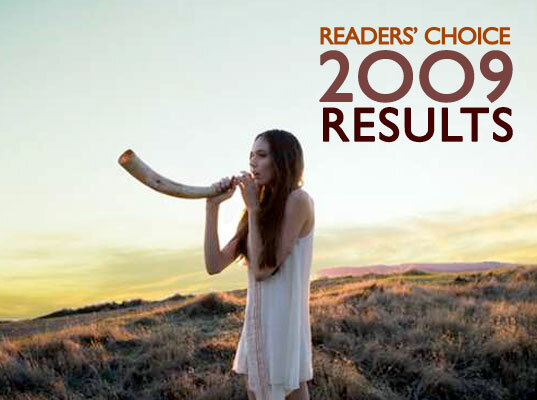 Announcing the Winners of Ecouterre's 2009 Readers' Choice Awards!